The Asus VG248QE paved the way for gaming monitors as a staple in the display market with its 144Hz native refresh rate matched with 3D Vision compatibility and stunning responsiveness. By 2018 standards, this model is obsolete in some aspects, but it curiously still racks up a lot of sales when it’s available. As with first generation releases, the Asus VG248QE has its quirks but looking deeper into it spells out why it is one of the all-time bests in the gaming world. Update: The Asus VG248QE was the top choice during its time, but the latest advancements in technology such as flicker-free backlighting and 8-bit color can now be had from newer models. The Asus VG248QE is definitely a keeper, but we getting the new and improved options with better pricing. The Asus VG248QE features a 24-inch 1080P TN panel which can achieve 144Hz refresh rates, 1ms response time, and 1000:1 contrast ratio. This model is considered as one of the first few native 144Hz screens in the market, with excellent responsiveness and clarity. Of course, it isn’t as superb as the newer models regarding color reproduction and accuracy, but it would be difficult to find something that could match it at its often available bargain pricing. The Asus VG248QE has an out of the box color accuracy with a DeltaE of around 2.93 due to some resulting undersaturation in some shades especially green. sRGB gamut coverage is average for this day and age as well at 93%, although a few years back these were considered excellent results for TN monitors. These scores still make it suitable for gaming, but the Asus VG248QE cannot match its newer cousins who have vastly improved their outputs. One thing the Asus VG248QE excels at is its contrast, with recorded averages of 750-800 at 30 to 50% brightness and an astounding 1080:1 at 80%. Fine tuning is a must, but if you play in a well-lit environment but would want oily blacks and visible shade transitions, this option is a great buy. But the biggest downside of this pioneering model rests with this aspect as well. Input lag on the Asus VG248QE is fantastic as well since we only recorded 3.2ms which makes it perfect for competitive gaming. To explain, anything above 4ms equates to more or less a frame of delay, which most users will not feel or notice in practice. Since the Asus VG248QE was in 2013, it still uses an aging backlight dimming control called PWM or pulse width modulation. This method is known to produce flickering which intensifies the lower you set the backlight, and it is also known to cause headaches and eye strain even if unnoticed. If you have sensitive eyes or suffer from visual conditions, the Asus VG248QE isn’t the right choice for you even if it is a tempting buy. You also won’t find FreeSync or G-Sync since the Asus VG248QE was conceived before the VRR tech era, so your visual enjoyment is terribly reliant on high frame rates and the 144Hz range of the screen. At this point, the lack of Adaptive Sync shouldn’t be a deal breaker more than the PWM issue since playing games at 1080 is relatively easy for a vast range of graphics cards. Even the sub $150 GPUs should do well in producing high frame rates for popular E-Sports titles like CS: GO. 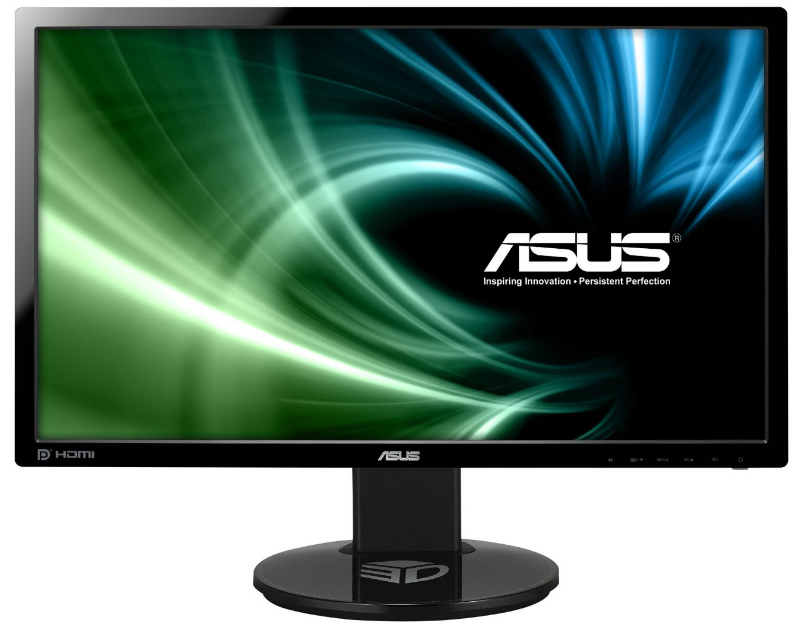 Despite our misgivings which are considered forgivable for a 2013 model, the Asus VG248QE includes a premium feature you cannot find in newer models today. This device was originally meant for 3D Vision gaming which dictated the need for a high refresh rate, but Nvidia’s 3D Vision tech comes with their Lightboost utility which strobes the backlight to mimic a CRT monitor. The Lightboost tech in the Asus VG248QE can be used to rid your gaming sessions of motion blur. The strobe can shorten pixel transitions to bypass its limits, effectively removing interlacing and artifacts in your image. The downside to this utility is it can increase strain if the user is sensitive to flickering, so the choice comes down to personal preference. As a bonus, 3D gaming, despite being dead in the industry for some time, is still a novelty to enjoy from time to time. If you have the separately purchased 3D glasses from Nvidia, 3D vision is a great alternative to enjoy your titles from a different perspective. The Asus VG248QE, despite its age and accompanying flaws, is still a respectable gaming product with its ability to produce a snappy performance with blur-busting capabilities. It doesn’t have the near-perfected prowess of its newer brethren, but its staying power in a quick-paced market says otherwise. Most of the time, a 144Hz screen and low input lag are all you need to advance your gaming skills, but with the Asus VG248QE, you also get the novelty of 3D gaming. The overall package is nowhere to be found in modern offerings, although there are compromises that you have to live with. Overall, for its prevalent bargain pricing in today’s market, the Asus VG248QE is an absolute steal considering what it can offer. Editor’s Note: The Asus VG248QE has had a great multi-year run in the market, but the brand has several new offerings which are considered better. Check out monitors like the Asus MG248QR or the XG248Q which have been designed with the VG248QE’s groundbreaking performance as the inspirations behind them. In the review it says it has a input lag time of 13 ms, in the spec sheet it says 3.2 ms, and some people in the comments are saying 23 ms. What is it? I looking for monitors and this one seems ideal. A reply would be greatly appreciated. The confusion arises because of the different ways of measuring it. Our measurement of the input lag only measured the (signal processing) itself which was around 3.2 ms. And also other reviewers have reported an input lag of 3.2 ms.
13ms input lag? Did you mean 1.3ms, 13ms is terrible input lag. I read another review stated it was 1.7ms @ 60hz input lag, 1ms g2g. Wow, the monitor is awesome, 3 years post release! What’s not, is that even on the ASUS site, as well as all I’ve discovered other than this one, is that this is a true DP 1.2 port monitor, making me feel that ASUS wanted to purge backstock & had no shortage of assistance from lots of sources. I purchased a VG248E in late 2013, not knowing this one was available, though on the same page I viewed 3 years back, ASUS now links the VG248QE as an alternative on the page of the VG248E, but still not the complete specs, including DP 1.2. The VG248E is about the same price (on promo for $309 at Newegg two years back), though a VGA port, no DVI-D, HDMI & DP 1.1a. What a waste of $300 when I could have had this one for essentially the same price that much more loaded. While I’ll never invest in a Full HD monitor (1080p) again, a lesson was learned. Now know for sure to get 4K UHD & that every link in the chain supports it. In the case of DP 1.2, it was the monitor I chose that didn’t meet the spec, and why I’m stuck for now at 1.62Gbps x4 lanes (6.48Gbps total), hope that this is improved with HDMI, even if so, will be limited to 10.2Gbps total. Still, that would be a little over 3.70Gbps that I don’t now have, assuming the monitor meets that standard. Will have to double check that standard for that model. If any faster, will never deal with DisplayPort again & probably ASUS as well. Why would they be selling monitors of pre-2008 specs (DP 1.1a) in late 2013? That would be well after 5 years of DP 1.2 being available, with lots of time to stop orders of substandard components along the chain. ASUS has strong negotiation power, enough to clamp all brakes in a year’s time at worst, 18-24 months at best. 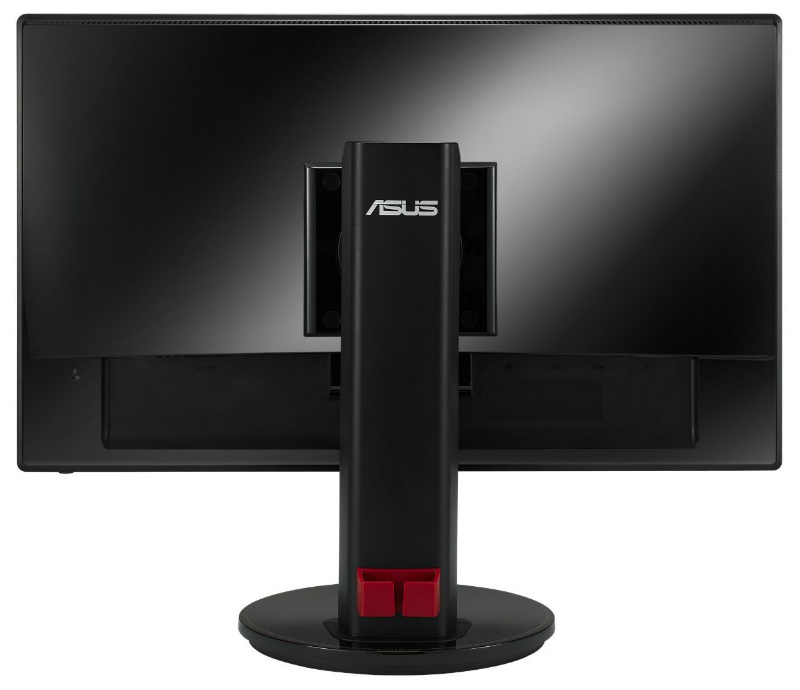 Meaning by late 2011/early 2012, ASUS (as well as competing brands) should have had all DP 1.1a spec monitors out of the retail chain, calling all distributors (including major online retailers) to round up any leftovers & distributing to industrial use to prevent profit losses, as retailers (online & B&M) jacks up prices huge. Costco is one example of how much other retailers are jacking up pricing. For example, I purchased my Dell XPS 8700 there (when first released), same exact configuration as Dell themselves carried it, for $350 less. I’m positive that’s not the only product that retailers have similar percentage price hikes on, including monitors. BTW, DP 1.3 specs has been released, so for DP fans wanting to upgrade, hang tight, 30+Mbps cards & monitors are on it’s way! In the right conditions, that would be nearly 9Mbps x4 lanes, assuming that all components are DP 1.3 certified. At it’s current jacked up price by retailers, and the lowest priced 4K UHD monitors on Monoprice less than $100 more, makes the ASUS VG248QE a poor ROI today, though 3 years back, was likely a great one. It’s kind of hard seeing placing $300 in a 1080p monitor today, knowing that as now 4K is moving decently, pricing has dropped & will continue to, there are even newer technologies than 4K on the horizon. Now have to see if I can squeeze some more speed out of my similar priced than the ASUS monitor discussed in the article with a HDMI 1.3 cable. Yes you are right, 23ms is too much. But for an average gamer, I don’t think it will be a problem. Well, it highly depends on you monitor requirements. If you are a relatively competitive gamer, who is used to fast input lag time, then sure, you will feel the slower input lag time of 23ms, (although slow being relative in this sense). However, doubting on whether or not you know the difference between gaming on a 144 hz 1 ms repsonse time and the 23ms input lag time monitor and say a 75 hz 5 ms response time with fx 10 ms input lag time, I can ensure you that the monitor with the slower input lag time in this example, will feel significantly faster and smoother than the other one. If you do know that, and yet still thinks that the VG248QE has a low input lag time despite its reputation as one of the best gaming monitors you can get for 250$, then you know just as I, that more money is needed for the investment for a better monitor. We are certainly not the only crew who finds this monitor attractive when considering its price tag. By the way, if there is anything in the review that you felt, is missing, just let us know and we will try to accommodate that as we could use all the feedback we can get. this is the only review? i like what you guys are doing here – please do the rest though.. how on earth am i going to be able to choose when there is only 1 review??? #lol and is it only going to be about low budget montiros.. because your buyers guide is pretty thorough, but your tables are not! Hey Irvin, dont worry we will have many more in the near future :).. you are welcome to subscribe to our news letter, so you can be notified when there is a new review. Very nice review i liked it a lot. Thank you James, we are glad you liked it :).